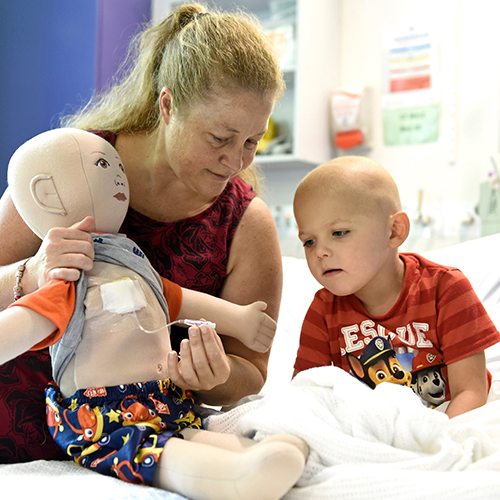 As we begin 2019, we wanted to share a few highlights from the last twelve months which show how you’ve made a difference to sick kids at Sydney Children’s Hospital, Randwick. Head start in epilepsy diagnosis: Neurologists use electroencephalography or EEG to make important decisions about patient care, particularly in epilepsy. Occasionally, an ambulatory EEG recording device is loaned to patients for 24 hours to record information, over an extended period, telling doctors more about a specific medical event. Each year these devices need to be checked to be sure they are safe and accurate, which is where we needed your help. Thanks to your donation, we were able to provide funding to carry out these vital checks. 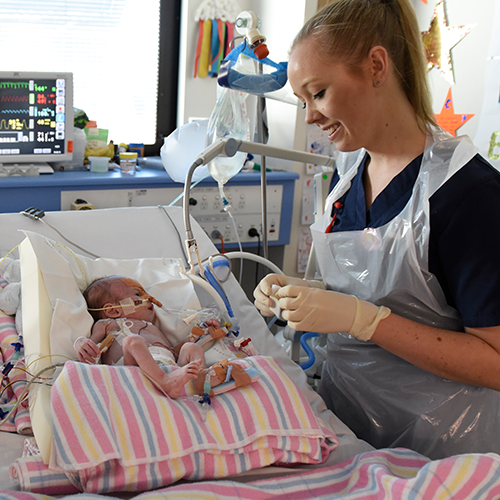 Breathing easy in the ICU: Each year more than 1,000 children in a critical condition are looked after by the dedicated Intensive Care Unit (ICU) team. It is estimated that more than $300,000 worth of medical equipment surrounds each bed, including a pulse oximeter. These non-invasive monitors can tell how well a child’s blood is carrying oxygen to their fingers and toes. Often the changes noted by the pulse oximeters are the quickest way to alert staff to a change in a child’s breathing. Thanks to your support, the Foundation was able to fund six new pulse oximeters for the ICU. X-ray vision: Thanks to a very generous donation from Sargents Pies Charitable Foundation of $800,000, we were able to fund a state-of-the art EOS Imaging Suite. This specialist piece of X-ray equipment can take 3D images of kids needing spinal surgery or living with conditions like cerebral palsy and scoliosis. The accuracy of these images has transformed the way the orthopaedics team plans operations and treatments. Supporting families with a comfortable place to rest: Anyone who has spent time in a hospital knows there is a lot of down time. So the Foundation purchased 24 recliners that can be used by parents and patients. The recliners actually turn into beds, not as comfortable as home but they help parents get a bit of sleep when they stay overnight. You’ll find the new chairs in Intensive Care Unit, Short Stay Surgical Unit, Care by Parent Unit and the adolescent ward. Milestone beads for kids with Cystic Fibrosis: Kids with Cystic Fibrosis often have many Hospital stays and during these times, they may need to go through medical procedures that can be painful and traumatic. Children are wonderfully resilient and often, at these times, their courage and strength are awe inspiring, but dealing with these procedures is never easy for them or their families. The Beads Program offers patients rewards for their medical procedures in the form of unique beads. The beads are strung together to tell the story of each child’s personal medical journey. The program goes through a lot of beads each year and we were fortunate to receive a grant to help cover the cost of these beads, to ensure there are plenty in stock for when they are needed. Getting big ideas off the ground: To grow an innovative research idea often takes an initial injection of funding. Our Foundation Starter Grants are designed to help do just that, to provide Hospital researchers with funding to conduct pilot studies and create real results within a one-year time frame. In the first three months of 2018 we started funding a pilot study about how patients and carers make decisions in Spinal Muscular Atrophy treatment, a motor neurone disease in small children. This was only possible thanks to donors like the Medich Foundation. Providing a helping hand: Hospital staff are busy all day looking after others so it’s important we look after them too. 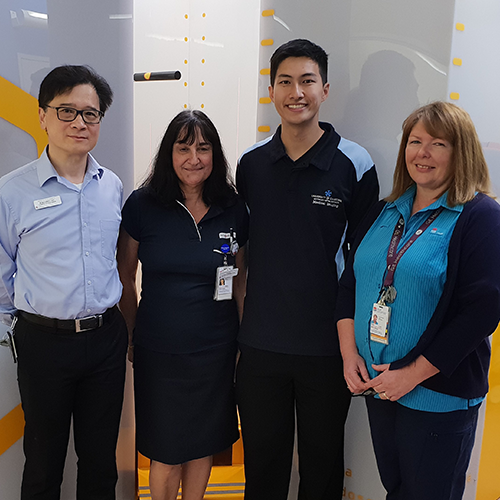 Moving patient beds from one ward to another can be heavy work so, with the help of The Corio Foundation and Sell and Parker, we bought six new Contour Orbit Drive bed systems. These make it easier and safer for staff to transport critically ill patients from surgery to ICU and a smoother ride for the patient. Letting kids be kids: We believe kids need to be kids first and patients second. That’s why funding items such as specialised play equipment is so important. They help to act as a distraction and provide comfort in what can be an unfamiliar setting for both patients and their siblings. With the help of The Jackson Foundation and community fundraisers, we were able to fund sensory toys in ICU and new play equipment for children who may have to stay in isolation bays for part, or all, of their stay. Protecting our most vulnerable little ones: The Child Protection Unit (CPU) provides forensic, medical and counselling health services for children and their families following allegations of child abuse and neglect. Its work, and research, is crucial to promoting and protecting the well-being of children who might be at risk. We’re committed to supporting CPU’s invaluable work and through grants such as the NAB Foundation Thrive Grant, we were able to provide research funding for the second year in a row. Around the clock care for tummy troubles: Each year we see nearly 70,000 sick kids visit Hospital, all with a different story to tell. Some may have swallowed something they shouldn’t have, or have stomach problems, which means doctors have to use a gastroscope to see what’s happening inside their tummies. With the help of the Newman’s Own Foundation, we bought five new gastroscopes which will be specifically used for after hours emergency cases. Monitoring on the move: The Intensive Care Unit (ICU) treats some of the most critically ill children in the country. With your help, we funded new compact patient monitoring units which can be moved with the patient wherever they go. These portable devices store all the vital medical information in one place so patients can be closely and accurately monitored throughout their Hospital journey. Helping the kids of tomorrow: As well as providing outstanding care to children who need the Hospital right now, we’re passionate about making a difference for future generations. One way your generous donations helped do this was by funding ground-breaking research into chronic conditions such as asthma. Every year, more than 6,000 children in NSW are hospitalised with asthma and unfortunately there’s no known cure. New respiratory research at the Hospital hopes to improve care models so warning signs of life-threatening attacks can be detected quicker. 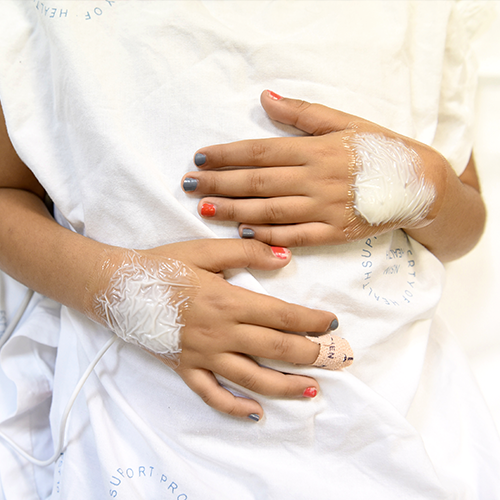 Reducing risk for critical patients: When a child has experienced serious trauma and is rushed to our Hospital's Emergency Department, every moment and movement made is critical. New specialised trauma beds have a narrower design with extra electronic functions, meaning they can be operated fluidly, and X-Ray imaging can be performed through them. This means trauma patients can be kept in a safe and stable position as they heal. 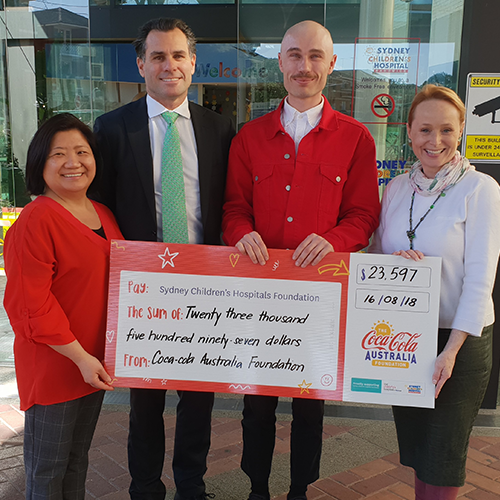 Express yourself: The Coca-Cola Australia Foundation donated an incredible $23,597 to help fund our Art Program’s ArtEx Workshops for the Children and Adolescent Mental Health Unit. Patients and siblings are offered a creative outlet to improve wellbeing, empowerment and optimism. The Art Program relies on the generous support of donors such as Coca-Cola, so a massive thank you to their team! 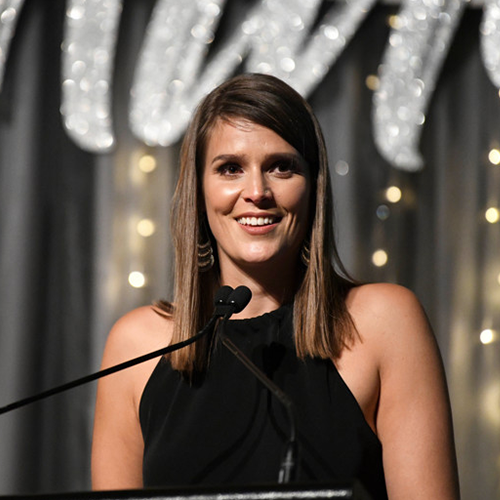 Diamond continues to shine: The business world came together on the 9 August for our annual Diamond Event, raising an incredible $768,017 for the Hospital's Fellowship Program. The Fellowship Program has been running for 20 years and acts as springboard for Australia’s brightest minds to lead the way in paediatric treatment, care and research. 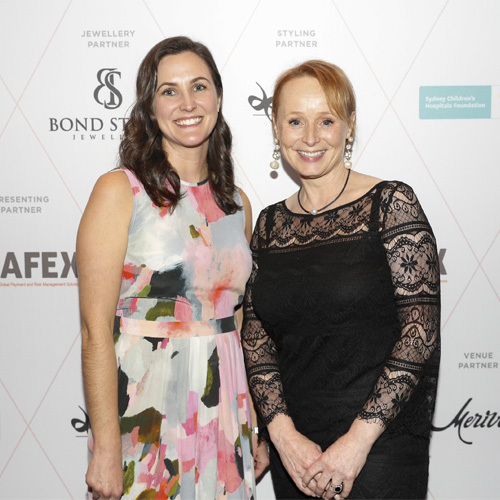 Guests were joined at the cocktail event by Dr. Bernadette Prentice, a Respiratory Fellow leading the way in new research for patients living with cystic fibrosis. A new home: The Child Life and Music Therapy Department is key to providing the very best care. Their dedicated therapists are experts in minimising the stress and anxiety that a Hospital visit may cause. 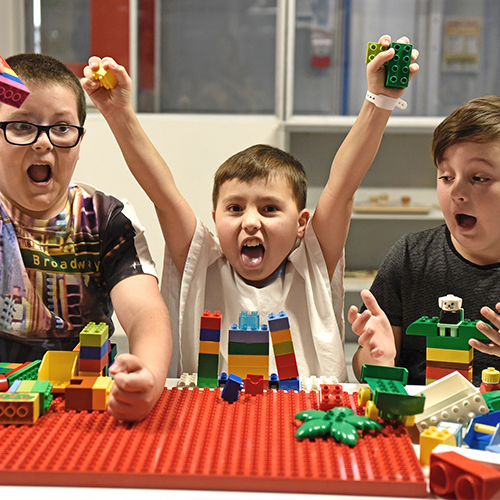 Thanks to the support of Event Hospitality and Entertainment, a new purpose-built space was created for the team to improve the Hospital experience of kids and their families. The art of distraction: An emergency visit to the Hospital can be a scary thing to experience. Patients being cared for might even be in pain or need to undergo an unknown procedure. Thanks to your donations, new sensory toys in the Emergency Department help to distract and calm patients who might be feeling frightened or worried. 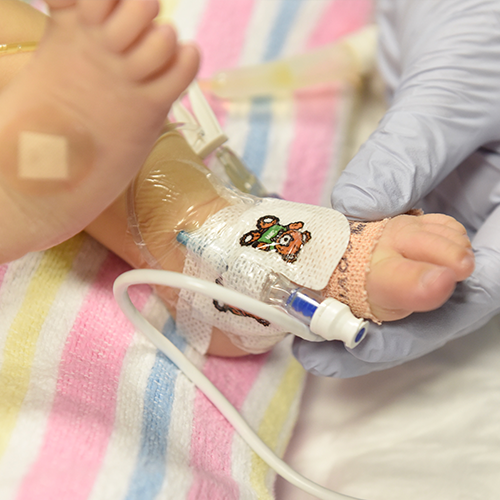 The heart of the matter: Eight babies are born with a heart condition in Australia every day, and many more will be diagnosed as they grow up. For some kids, this means they need surgery but operating on hearts as small as a strawberry requires specialist equipment such as the new, portable cardiac ultrasound machine which was funded by a single donor. This machine provides the Cardiac Theatre team with the detailed images they need to perform life-saving surgery. Shining a spotlight on cardiac care: Our annual sunSCHine event raised over $1m for the cardiac services team to help more patients like little Arden who was born with a heart condition. 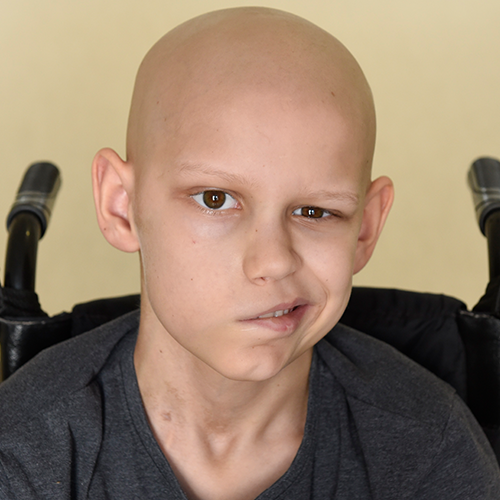 His mum Stacey took to the stage on the night to share his journey; from being whisked away for his first procedure at just a few minutes old, to spending six months in Intensive Care and having three open heart surgeries before he was a year old. Thanks to guests and sponsors, we were able to purchase a state-of-the-art cardiac ultrasound machine at the Intensive Care Unit as well as other vital equipment such as pulse oximeters. Keeping cosy: One way to give newborn babies the best possible start in life is by having warming units called ‘Babytherms’. These special beds ensure babies always feel comfortably warm, much like when they were in the womb, and can be monitored for any changes in temperature. Thanks to the support of Sell & Parker and generous individual donations, we were able to purchase two new Babytherms for the Intensive Care Unit! Vitally important equipment: When a child is brought into the Hospital, they may be hooked up to a Vital Signs Monitor so doctors and nurses can keep a close eye on their body temperature, blood pressure, pulse and breathing rate. These machines are an integral part of a child’s care during their Hospital stay as they provide insight into what treatments may be needed to keep the child stable. Thanks to the Jackson Foundation we were recently able to fund new Vital Signs Monitors in the Adolescent Ward. Treatments of tomorrow: Brain tumours are the second most common type of childhood cancer and more children die of brain cancer than any other disease. That’s why research into this devastating disease, and potential new treatments, is so important. Long-term supporters, the Greek Young Matrons’ Association, recently held a luncheon and donated $150,000 to help fund Associate Professor David Ziegler’s ground-breaking research into new treatments and therapies for childhood brain cancer. It's stereo-tastic! When a child is diagnosed with brain cancer, neurosurgeons need to take samples from their brain for testing – a very delicate operation which needs high precision. To do this, they use a specialist piece of equipment known as a stereotactic frame which cost over $200,000. Thanks to our superstar fundraisers we were able to purchase a new one for the neurosurgery team. It was certainly a team effort to raise the funds, everyone got involved from schools, a book club and individual challenges and donations – thank you! Countdown to Christmas: Christmas is a time for family, friends and fun times at home. But for some kids in Hospital, it’s not possible to be home during the festive season…so we decided to bring the magic of Christmas to them. 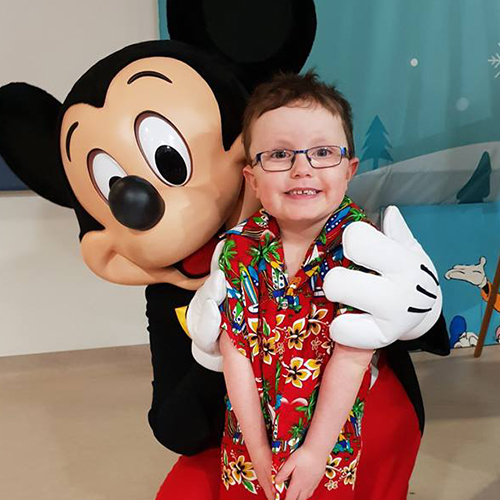 During our '12 Days of Christmas', some very special corporate elves generously donated their time and money to decorate, craft, bake and sing for patients – Mickey Mouse even dropped in to take part in the festive fun! Together, our corporate partners raised an amazing $336,000 which will contribute to funding some vital pieces of equipment in 2019 such as; life-supporting ventilators for the Intensive Care Unit to help critically ill children with their breathing, an ambulatory EEG for the neurology department to help diagnose epilepsy and new lounges and chairs for the adolescent Mental Health Unit to create a safe and therapeutic environment. These stories are just some of the ways the Foundation contributes to the Hospital, all made possible by the generous, ongoing support of our community - thank you! 2019 is full of new opportunities to make a lasting difference in the lives of sick kids. To find out how you can get involved, visit www.schf.org.au/what-you-can-do.